What if you started a revolution and nobody came? Logan Willis’s life is falling apart: he lost his job and found out that his wife is cheating on him all in the same day. Thinking that his world has ended, Logan checks into a hotel and turns on the TV to see that he's not far wrong - radio telescopes have detected mysterious signals coming from inside our solar system, and the source is moving toward us at over 500 miles per second. The media concludes that these signals must be of an alien origin. Still reeling from the news, Logan gets a phone call from his brother-in-law. After decades hunting wanted offworlders throughout the solar system, Corporate Bounty Hunter Malcolm Graves doesn't bother asking questions. So long as the pay is right, he's the man for the job. And he always works alone. But when a high-profile bombing on Earth has Pervenio Corp clamoring for answers, they force him to team up with a strange, cyber-augmented partner. A young man more interested in statistics than instinct. Their assignment: Track down a suspected group of extremists from Titan who will go to any length to free their moon from the grip of Earth's corporations. The Obsidian Empire has shattered the Star Alliance. 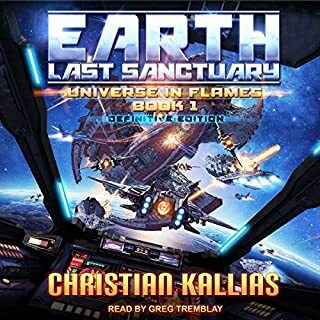 Lieutenant Chase Athanatos manages to escape their wrath, piloting his fighter to lead a band of survivors to the edge of the galaxy...to a little planet called Earth. But Earth is in trouble. 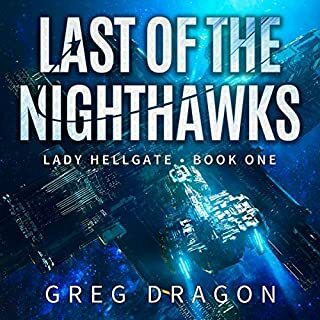 The Empire is hot on their trail, and unless Chase can find a way to stop them, what remains of the Alliance is doomed to extinction. Unbeknownst to him, something dormant is coursing through Chase's blood. Something ancient. But does it hold the key to changing their destiny? We had 20 short years of peace. Twenty years to put worlds back together. Twenty years for Captain Vin Husher to convince us the aliens would return. We didn’t listen. Warmonger, we called him. Washed up, we called him. But now, the enemy has returned, with high-tech weaponry well beyond anything of which humanity has dreamed. If Husher and his ragtag crew can’t manage to stop them, they will smash us. Indian Hill is about an ordinary boy who grows up in relatively normal times but who finds himself thrust into an extraordinary position. Growing up in suburban Boston, Michael enjoys the trials and tribulations that all adolescents go through, from the seemingly tyrannical mother, to girl problems, to run-ins with the law. From there he escapes to college out in Colorado with his best friend, Paul, where they begin to forge new relationships with those around them. It is one girl in particular that has caught Michael's eye, and he alternately pines for her and laments ever meeting her. After months recuperating in hospital, US Marine Jack Cohen hoped a Caribbean cruise would help him recover from the horrific injuries he sustained fighting in the Middle East. Instead, when the ship is attacked, he is once again thrust into battle to protect Atlantica against the ruthless enemy hunting her, and the insidious threat already aboard. 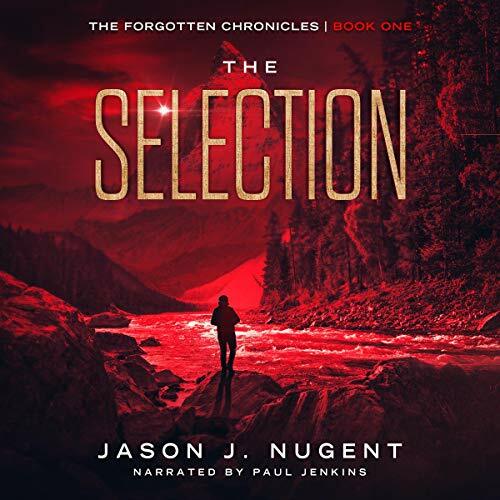 Thrust into a brutal ritual known as The Selection, 18-year-old Eron is confronted with a reality he recently forgot and must struggle to remember. Survival depends on it. With a mysterious Forgotten roaming in the wilderness and other boys threatening to kill him, Eron forges an unlikely alliance to save himself. For Eron, finding his way to Victory Point and reuniting with his childhood crush Mina is all that matters. If they don’t make it to Victory Point in 30 days, hope is lost. Death - or worse, becoming a Forgotten - awaits all boys unable to finish. The Selection is cruel. The stakes are high. Losing is not an option. Don’t miss this exciting first book in the Forgotten Chronicles trilogy and start a new adventure today! If you could sum up The Selection in three words, what would they be? What was one of the most memorable moments of The Selection? The ending is a set up for the sequel. What does Paul Jenkins bring to the story that you wouldn’t experience if you just read the book? More nuance to the story and characters, he is a gifted Narrator. other books from this Narrator and Author. Try the book you will enjoy it. I was given this book for free at my request however the review is of my own. Eron is now having to deal with the selection a process where all boys have to try to survive in order to keep going. Definitely has some of the same feel as hunger games and maze runner but with enough differences to make this just as intriguing. Definitely want to read more. While it might not have been the most mentally stimulating read it was satisfying and never slow. You get the story without too much extra. Brutal, traitorous, heart wrenching. Overall, it was a good story. I feel like this story was inspired by a few things. I explained it to my friend as being a basic premise similar to the Hunger Games meets Harry and the Hendersons (but not campy) trapped in the movie Lost Boys. It was interesting. I was kept entertained and the story had some interesting twists. It was narrated well and written decently. There were a couple moments in the writing that threw me off momentarily, but it quickly righted itself. all in all a good listen. If I get a chance I will probably listen to the second book in the series. I was given a copy of this book in audiobook form in exchange for an honest review. 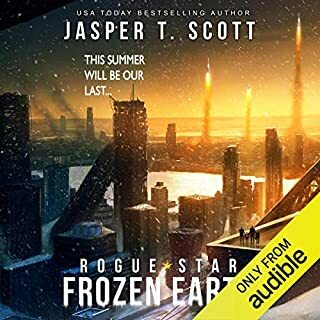 I'll be honest, I listed to both this audiobook and the next one in the series back to back so don't really recall where one ended and the other began. The introduction to this other world was spectacularly executed and the characters well fleshed out. You truly feel for them as you travel with them through this alien world and the trails they face. I have a split-opinion about this. The book certainly has entertainment value. But it has a lot of stuff which we have already seen in other such "survive the trial" stories like Hunger Games. And then at the end, a lot of questions are left unanswered. Is there going to be a sequel? Definitely. The author tried to wow us with bunch of twists in the book. Some of them were really surprising while others were fairly obvious. What three words best describe Paul Jenkins’s performance? Do you think The Selection needs a follow-up book? Why or why not? Yes, definitely needs follow-up book. A lot of questions are left unanswered in this book. 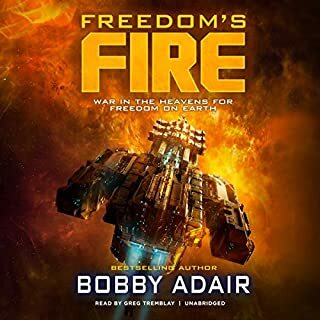 I received this audiobook for free from the author / narrator / publisher in exchange for an unbiased review. I would have given this story 5 stars but I didn't like the ending. This is the story of an alternative dystopian society where boys must participate in a trial of manhood and culling called the Selection when they turn 18. Eron faces pain, death, violence, and betrayal as he struggles to survive to the promised rewards at the end of the trial and to win the hand of the girl he desires. 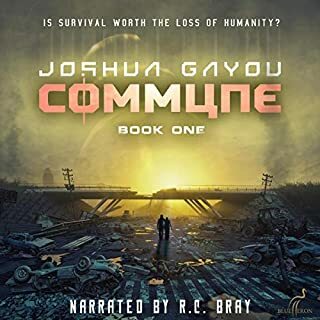 It is really a well-written story, and as long as you go in knowing that it is a true dystopian story and not everything will turn our as you want or expect, you may like it more than I did. For me, I liked it very much until the conclusion. The narration was good, and different voices were given different characters, and the inflections were varied in respect to the situations and emotions the characters experienced. All in all, this was a good book. I thought it was interesting in its premise and nicely paced. My only mild complaint is that it left me with a few unanswered questions and had a somewhat abrupt ending. That being said, it was well narrated, and I would say it is worth checking out. This is book 1 in The Forgotten Chronicles, which, with what I now know after listening to the first book, seems like an interesting overall theme for a series. The premise as laid out in book 1, The Selection, is intriguing: what if human males had to go through a brutal selection process to gain sexual access, just like a lot of animal species. This first book focusses on one such month of Selection, following 18-year old Eron on his way through it. For one, it was not explained why several of the teen boys engaged in brutal and deadly fights against eachother voluntarily, since there was no need for it. The story makes it clear that there is room for everyone strong enough to survive their 30 days of the Selection trial. So why fight eachother and not help eachother against, for instance, the wild and ferocious predators roaming the forest they're travelling. I think I would have liked it better if they'd all banded together (with internal conflicts between them) fighting against a hostile environment that culled them one by one throughout the story. Or else, that there was an internally consistent reason to fight eachother, like a limited number of survivors allowed. Second, it was not clear why the main character didn't remember anything about his training. Only near the end this gets some explanation, but that felt very unsatisfactory, it left me with the feeling that his lack of memories was purely a plot device. Third, there is a lot of repetition in the dialogues. People keep repeating and repeating themselves, which I found quite annoying. And lastly, the main antagonist was so one-dimensional I wanted to skip every part he was in. Literally nothing was explained about his motivations, about who he was, etc. etc. And he too seemed to have about three sentences he kept repeating over and over, with a vocabulary of less than ten words. I mean, come on. I was glad that the ending, although very predictable to the experienced reader, was what it was and I tip my hat to the author for that. As for narration, I was quite underwhelmed by Jenkins' soft tone and rather monotonous way of narrating this story. For me, this made especially the main character seem as weak as he was constantly accused of being. The narrator's voice range seemed limited, and when the text states "deep voice" for The Forgotten, he actually chooses a higher tone instead of deeper. In conclusion, in my opinion this may be a nice story for very young teens, of say 10-12 years old. The main 'lesson' of the story as revealed in the last chapters also seems to accomodate this age group best. But for it to entertain adult readers, it needs a lot more fleshing out and far more complexity. I do maintain that the overall premise is interesting, and I would find a (better fleshed out) series about the Forgotten, as the series title promises, enjoyable. I'll keep an eye out for part two and see where it leads. This book is a slightly odd mix for me, you have that well-worn plot device of a deadly game or coming of age trial, but it is done pretty well overall with the author managing to avoid some of the worst clichés of that type of plot. The world-building is good overall, but quite a lot of that may not be relevant to subsequent books as it related directly to the selection and it's setting, which is completed by the end of this first book. The characters are fairly well-realised on the whole, but the main character didn't grab me as much as he could have done, I was interested in what happened to him rather than fully caring what happened to him. 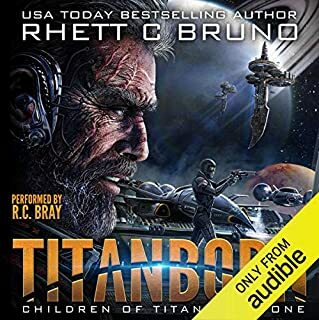 The narrator mostly did a good job with the book, his narration had a clear and pleasant tone to it, but could have maybe made some of the main characters a bit more distinctive as that would have probably helped me connect better with the book. Overall, I did enjoy this book, however it was merely a good setup for an ongoing series and a good standalone book rather than really excelling in either aspect, I think it is one that could grow on me if I enjoy the subsequent books in the series.